Projectopia provides a bespoke client dashboard that has been specifically designed to enable to client easy access to each element within the plugin. 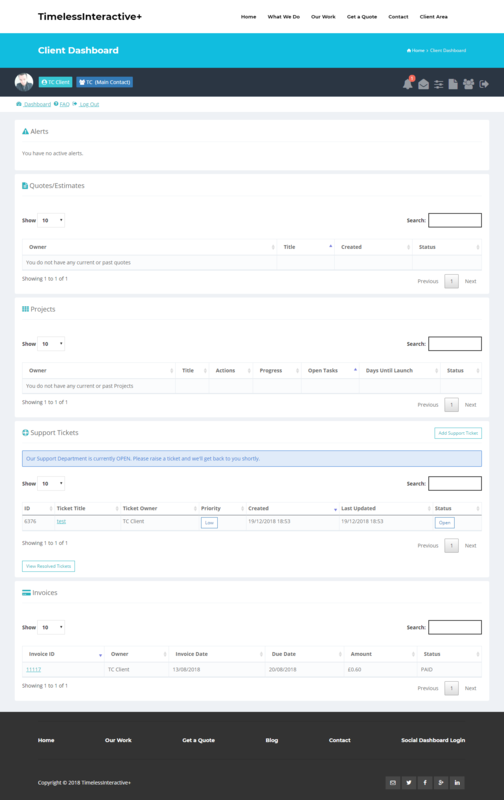 While we recommend the use of our own dashboard, we also provide an option to render a simplified version of the dashboard in your active theme. This option can be found in the plugin settings, under the client dashboard tab. 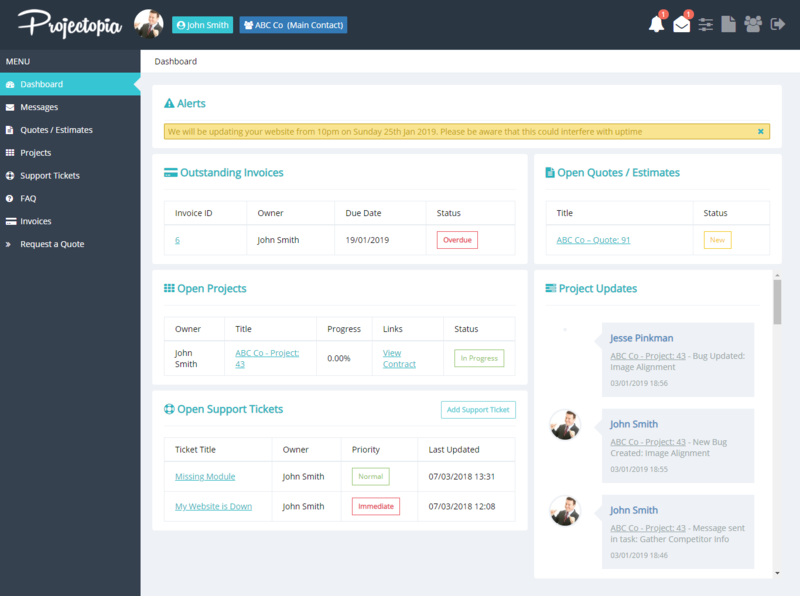 The provided dashboard theme has been specifically designed for use with the plugin and to be as simple as possible for the client to navigate and manage their projects. You can find out more information on the built-in dashboard at Overview / Tour. For users who would rather show the dashboard in their own theme, we have also provided a slimmed down, one page version that can be displayed in the current theme. When this is activated, it will look something like this, depending on your theme layout and styling.